Perhaps the most forgiving of all plant species, succulents are like the “training wheels for a child learning to ride a bike” as to a novice gardener. They seem to thrive on neglect, receive very little water (we are in a serious drought – remember?). And best of all they require little to no maintenance. Many of them offer a spectacular sometimes mysterious bloom spikes which will later dry and have to be removed. There you have it, maintenance complete. 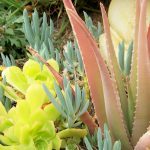 So here are some San Diego succulent garden ideas worth considering. Some succulents like Aeoniums may have dried leaves at the base which can be removed. Other succulents such as Senecios set out an unsightly dandelion like bloom which ought to be snapped off early before they bloom. Most are extremely easy to care for and even easier to propagate on your own. Cut off a succulent at the stem, allow it to “heal over” for nearly a week. Place it in a small container with soil specified for succulents and in about 6 weeks you can plant it in the ground. Please do add water on a regular basis to encourage root growth. • Mature size of each plant. Those Sticks on Fire pencil cactus will actually grow 6 to 8 feet tall and spread 4 to 6 feet wide. Some Agaves will reach 6 feet or more and spread 8 or 10 feet. So be caution as to which plant goes where so you don’t have to remove it later. • Drainage is critical. 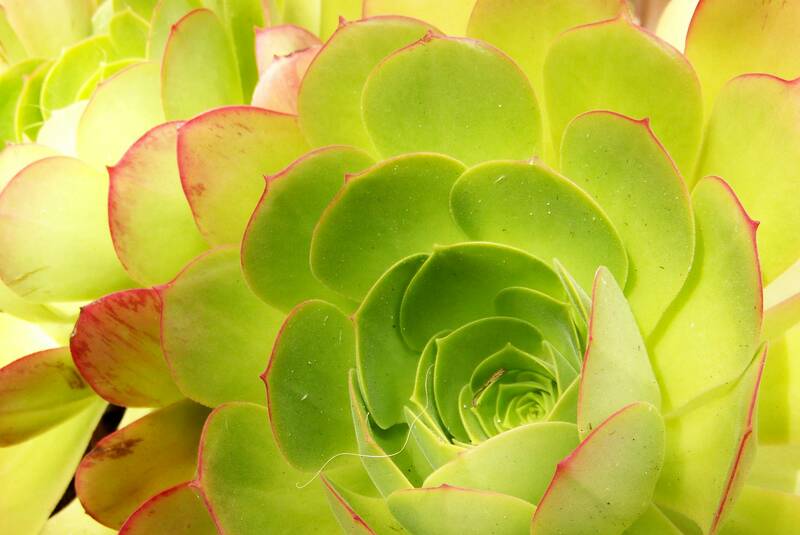 Succulents store moisture in their fleshy leaves or blades. Sitting in water or in heavy clay soils may offer a quick decline and early demise. Add sand, berms and or well drained soils. • Sunlight. Most succulents need adequate sunlight. 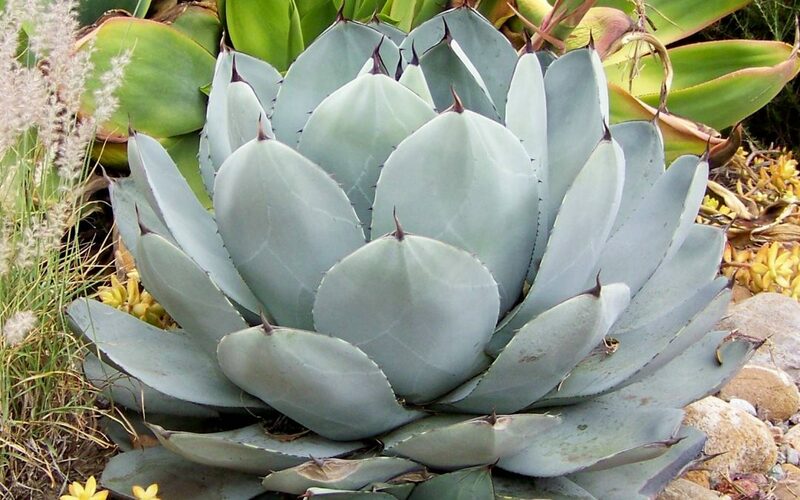 Some, such as Aloes and Agaves will tolerate full sun, others will be happier with partial shade. And some will handle full shade, such as Crassula multicava. From a standpoint of design, a few ideas to consider for your succulent garden include the following. Plant a larger element as a focal point where there is room. This plant should have either a significant textural element and or shape to give it a strong presence in the garden. Also think about colors of various plants. Placing two variegated plants such as Aeonium ‘sunburst’ and a Variegated Elephant’s Food Plant next to one another compete for the eye’s attention. A variegated plant needs some solid color as a back drop to really show. This will give you contrast, which is always a key element in a successful garden. Having the knowledge of when plants bloom and their flower colors is also helpful. Succulents can boom throughout the growing season. Some such as Aloe striata (Coral Aloe) bloom in January. The Hedgehog Aloe (Aloe nobilis) will bloom in late May and June. Both have similar colors and fortunately with the timing of the blooms you can use both in the same garden. How plants are grouped is another major variable. Once you select your key focal point(s), add layers of additional plants, using several of the same for continuity. Odd numbers of plants seem to replicate nature in most gardens. And to offer some relief, use some low growing plants such as Senecio serpens or Sedum species (Stonecrop) to provide some ground covering. These too, can offer some color and allow places to let your eye rest between the other elements. Too many varieties can be confusing and create a sense of clutter. Other plants to include with your succulents might be ornamental or native grasses. 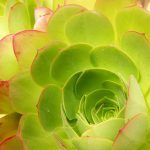 Other “companion plants” may fit the bill as well to add other softer elements as many of these succulents do have an architectural form about them. And also consider the use of boulders, cobble www.southwestboulder.com or decomposed granite as a finishing touch. There is something very natural looking about a combination of succulents along with harder elements from nature. You may need some step stones or flag stones to offer a path way through your new garden as well. Succulents can be the “jewels” of any landscape, with such amazing variety, color, shapes, etc. In our current drought situation, it seems that our future of landscaping in San Diego will feature more and more of these types of wonderful plants. 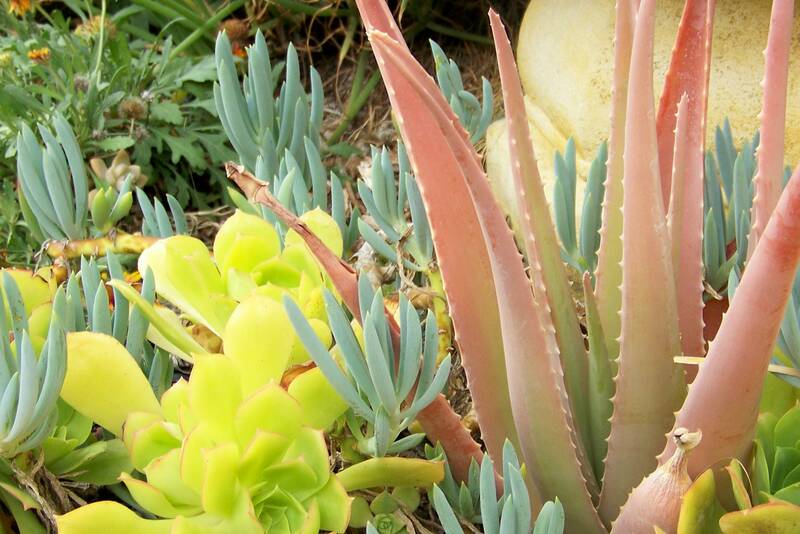 Hopefully, these few succulent garden ideas for San Diego will get you started. Letz Design Landscape offers two hour consultations or complete Master Plans, contact us today to get started saving water and adding beauty to your property.